Jay Wild has defeated Ben Sarrazin, Brennan Rose and a host of local talent to claim the Tahoe Fall Classic at Lake Tahoe. 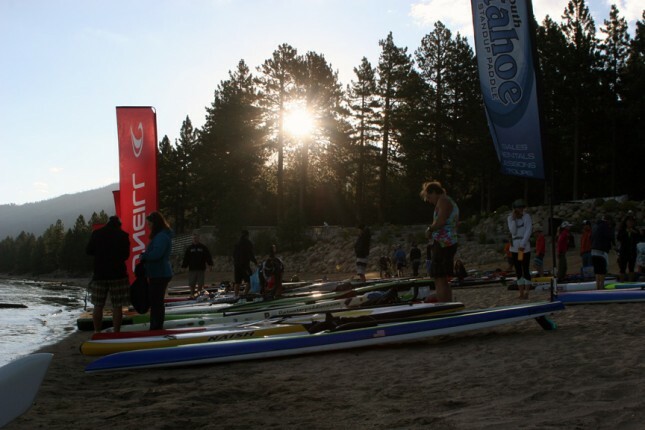 This was the third and final stop of the 2014 Tahoe Cup race series, which also saw the Donner Lake and Jam From The Dam events. Rob Rojas took line honours on his unlimited, making it a clean sweep for the series, however in the battle for the Elite 14′ title it was a close one between Jay and Ben. After 22 miles and over 4 hours of grueling, flat water paddling, Jay crossed the line just a couple of minutes ahead. Finishing third was Brennan Rose who, after his victories at the previous two Tahoe Cup events, also claimed the overall series title.